There are many factors as to why holiday-goers are drawn back to Seychelles time and time again. With long stretched of powder-soft sands lapped with warm crystal-clear water, stunning rock formations, gorgeous sunshine all year round and raw natural beauty everywhere you look. Made up of over 100 stunning islands, yet only 40 of these are lived on. The Seychelles is the perfect destination for island-hopping, exploring, or just relaxing on a secluded beach – offering something for everyone. Interested in visiting the unforgettable destination of Seychelles? Place an enquiry now and one of our Seychelles experts will be in touch soon. Offering a choice of stylish and contemporary of suites and villas, Four Seasons is the perfect tropical beach front resort for couples and families looking for an all inclusive holiday. With a unique tree house design with a stunning view of lush jungles, this resort offers luxury and privacy during your whole stay. 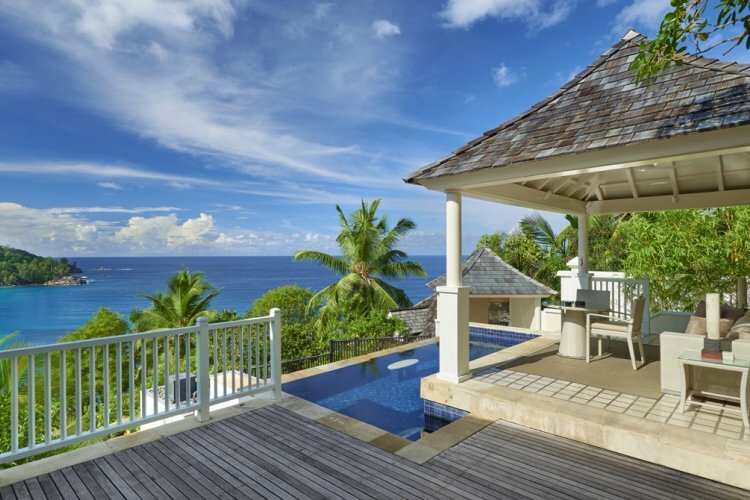 All suites and villas boasting spectacular views and feature a day bed, pavilion and a private swimming pool. Overlooking one of the world’s most beautiful beach, Intendance Bay, Banyan Tree Mehe offers private villas that each feature a private outdoor Jacuzzi, superior room service, and massage areas. The perfect choice for holidaymakers looking for a private and luxurious resort, with its own private beach as well as on-site swimming pool, spa and restaurant. 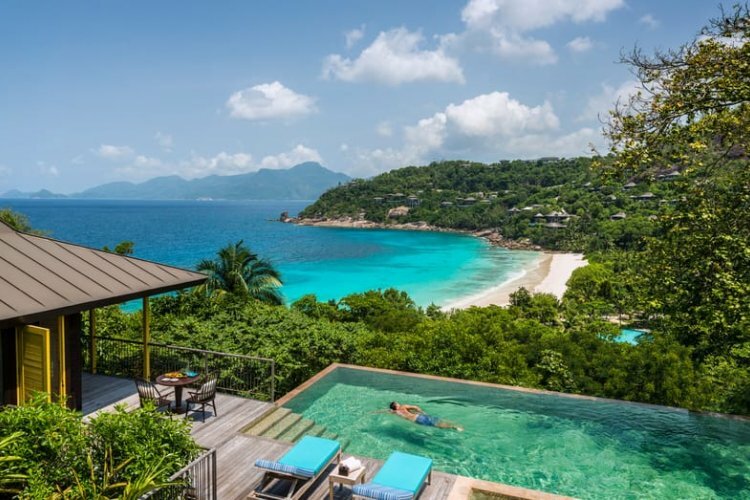 One of the largest resorts in Seychelles, The Lemuria Resort boasts its own private beach and 18-hole golf course - the only one in Seychelles. 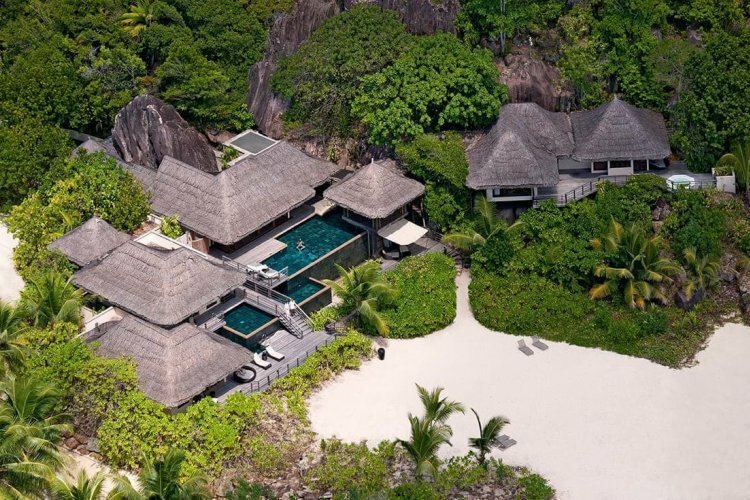 Designed with Seychelles’ natural landscapes in mind, the buildings blend seamlessly into the surrounding environment offering stunning undisturbed views. The perfect stay for couples and families for an unforgettable all inclusive holiday. If you would like to discuss your all inclusive options for the Seychelles or any other countries in the Indian Ocean then just enter your details on the right and one of our Seychelles travel experts will be in touch!